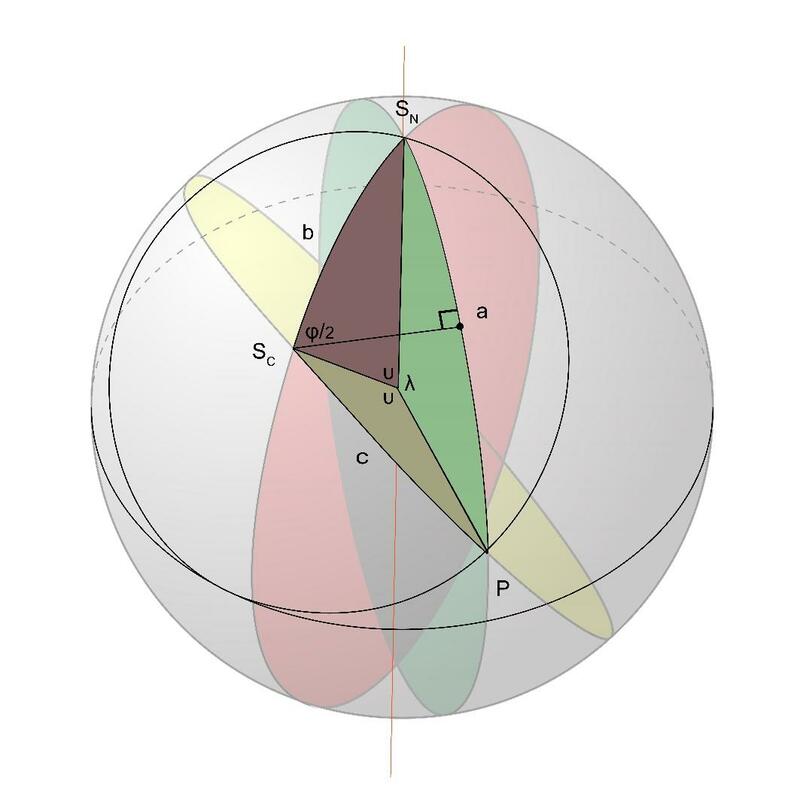 Since both point P and point SN are on the unit sphere with center SO, the triangle that these 3 points form is an isosceles triangle with a pair of sides, PSO and SNSO, each having length = 1. 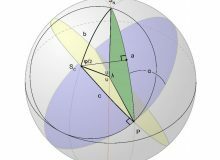 The angle between the two equal sides is . If we take as given, we can find the length h of the base of this isosceles triangle, which is the distance between SN and P. Then, using length h we can find by regarding the solution as a 2-dimensional problem that is set in the xy-plane where circle C lies. 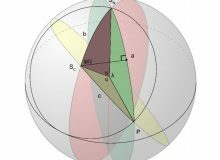 For the first step, h is the chord of the great circle arc of sphere S, or h = . 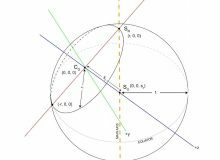 For the second step, with a circle of radius r and center (0,0), h will be the chord length of the arc segment from (r,0) to P, or h = . These equations give a parametric representation of as a function of .